I’ve been taking photos for a long time, and have years worth of pictures that comes to around about 500GB in total. Luckily, I don’t keep RAW files after I’ve processed them, or that figure would be astronomically higher. Either way, the disk space required to store all of these photos means that I can’t practically keep them all on my laptop. Instead, I keep about a year or two’s worth of pictures on my computer (synched to Dropbox as well as backed up elsewhere), before transferring them onto an external drive (which is also backed up off-site in a couple of places). The problem I constantly run into is when I need to get access to the pictures that are no longer on my laptop. I could of course go and plug in the external drive to find them, but it’s a bit of a faff, and I’m not always in the same place to be able to do that. The various backups that exist are either designed for a large disk failure, or simply don’t have an interface that means you can find individual images quickly and easily. Most of them simply display a list of file names to be restored, which isn’t all that helpful when you are looking for a picture from 3 years ago. Retain my folder structure of uploaded images, so I can easily find the image sets I want. 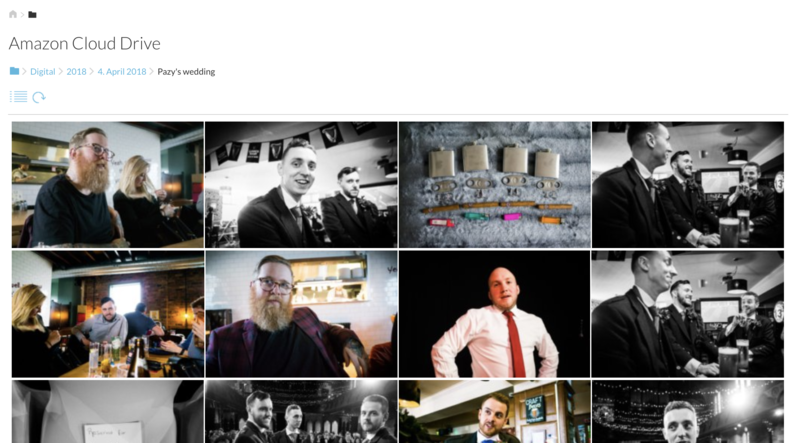 Provide a web preview of the images in a thumbnail gallery style, so I don’t need to deal with cryptic file names. Have a lot of storage space, for not too much cash. In the past I’ve tried various things, including Dropbox, Google Photos, Flickr (which I’ve written about here), and Amazon. Ultimately, all of them had issues which made them unworkable. 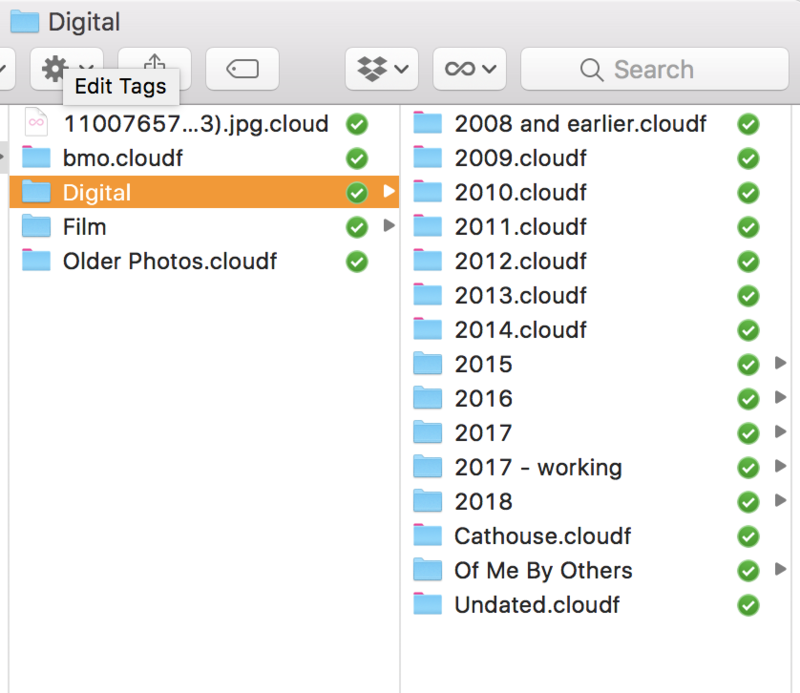 Google and Amazon did not retain any kind of folder structure – instead organising images by date taken – which was no use for someone with a lot of film photos that were scanned on different dates. Dropbox didn’t really support external drives very well, and Flickr seemed like a decent alternative, but it turned out to be impossible to manage hundreds of folders and sync changes effectively, so I gave up on that option. I threw in the towel for a while, but recently decided to give things another bash. Amazon now offer unlimited free storage for photos (jpeg/jpg only) for their Prime customers. If you have a student account, this comes in at about £39 a year (£79 for the regular price). This also gives you access to a bunch of other things like their TV service and unlimited free next day delivery, but I don’t really care too much about any of that. The issue with Amazon and how they sort photos still remained, but it turns out that they have updated their service so that you can create albums based on the folders in your Amazon Drive storage. This seemed worth exploring, but soon became a bit too fiddly and manual a process – as expected. 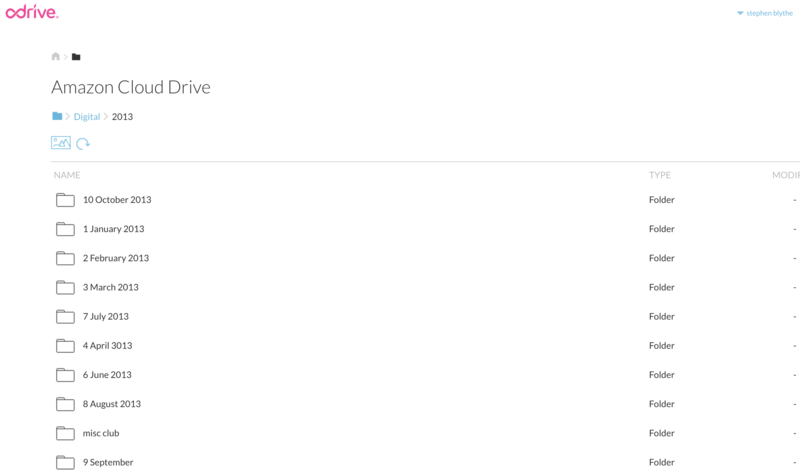 However, I discovered a third party service called oDrive which handles things far better than Amazon. Not only does their app synch changes in a far more logical way, but it also comes with a thumbnail gallery web style preview of the original folder structure (!). This is similar to Dropbox, but gives a lot more control so you can manage external drives in a far more sensible way. 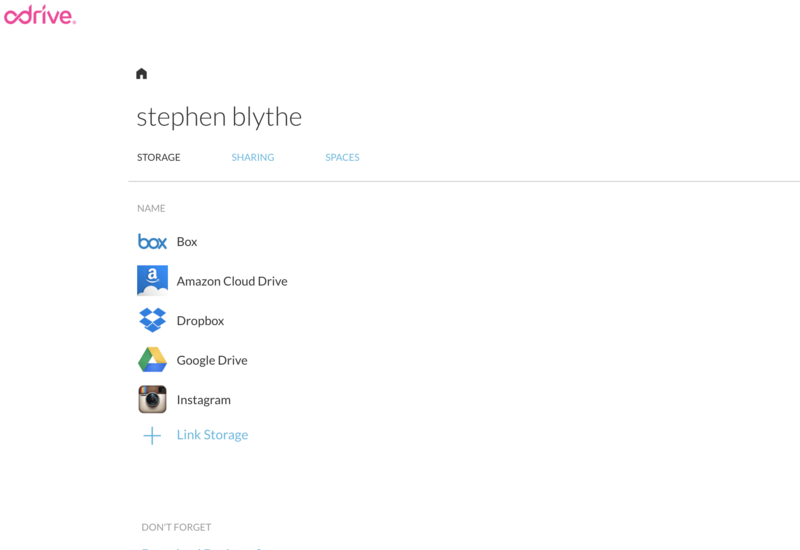 oDrive essentially acts as an interface for your cloud storage services. You have a single folder which then has directories underneath that for each one. Files and folders that are stored online are represented by *.cloudf placeholders, and those that are stored locally are also synched online. At any time you can ‘sync’ a folder so that all of the contents are downloaded to your computer. To ‘unsync’ a file or folder means to remove the data from your local storage, and leave it online. All of my photos for the past year or so are kept in folders by format > year > month > set. e.g. Digital > 2017 > March 2017 > Party 1. The root Pictures folder is then stored inside an ‘oDrive’ folder which is synched to my Amazon Drive account using the oDrive app. All changes are synched this way. The oDrive folder is located inside the Dropbox folder, so that Dropbox also backs up these images. For my external drive, I synched all of the folders to my Amazon Drive using oDrive on a laptop which I left running solely to complete this task. When I want to move one of the year folders from my laptop to the external drive, I need to stop it from synching to oDrive, otherwise it will re-upload its full contents from scratch. This is a Premium only feature, which requires a fairly pricey annual subscription, though there are workarounds. Hopefully they will be providing a cheaper option in future for people who just want access to the sync feature in particular, as the app itself and their customer support is pretty good. The web preview currently can’t sort things alphabetically, which seems rather bizarre. This is apparently going to be fixed in an upcoming version. However, overall I’ve found it to work nicely. The web preview with thumbnail view has been invaluable when trying to find specific old pictures. I’ve been running oDrive as a test for a good few months now, and I like it a lot. Aside from a few minor niggles, it seems to have finally provided a solution to a problem I’ve been trying to fix for ages.